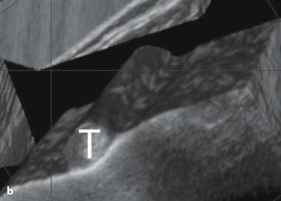 EFV US scan of a shoulder that shows most of the humeral head (H),and the superficial tissues in a massive rotator cuff rupture. 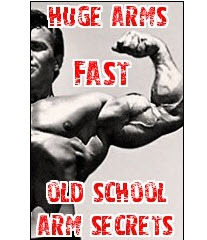 T = long head of biceps tendon; D = deltoid formed with an excellent superficial definition (5 millimeters at least), because incorrect depiction of skin and subcutaneous tissue may cause artifacts and compromise the evaluation of clinical findings. 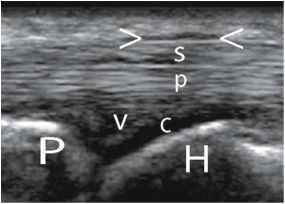 We suggest the use of ultrasound equipment with a very high-frequency transducer to assess the most superficial structures and a multifre-quency transducer (about 7.5-12.5 MHz) to obtain a general evaluation of those deep musculoskeletal structures that cannot be easily studied with a very high frequency transducer. 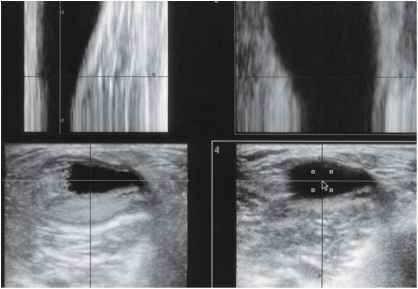 When studying rheumatic diseases, it is mandatory to use ultrasound machines provided with a color and power Doppler module (low speed flows) to assess the synovial, tendinous or muscular inflammatory hyperemia [1-3]. Equally important is the set up for the use of contrast agents, which is particularly useful in the follow-up of the therapy [4,5]. Fig. 1.5 a,b a 3D rendered reconstruction of the shoulder showing the humeral head (H) and the deltoid muscle (D) with the superficial tissues. b 3D reconstruction of a shoulder with digital subtraction of superficial tissues.This allows the course of the long head of biceps tendon to be shown tions do not improve the diagnostic level of the examination but make the images easy to interpret even by a non-radiologist. EFV allows the operator to 'build' a panoramic image of a wide anatomical region (such as a whole muscle or tendon) by simply gliding the probe along it. The images obtained are very easy to interpret [6,7]. Likewise, MPR and 3D allow panoramic reconstructions with a widened view of spatial planes to be created, as in CT and magnetic resonance (MR) (Figs. 1.4,1.5 a,b). Nevertheless, image processing takes a long time to be completed and needs a perfect scanning technique to be effective.